Istanbul Technical University Ayazaga Campus is located in Maslak. The transportation to the Ayazaga campus is quite convenient due to being close to all the business centers and on the Taksim Metro Line (M2). Istanbul Technical University Suleyman Demirel Arts and Conference Center is a multi-venue building located in ITU Ayazaga campus. It occupies 9.200 m2 and features a conference hall, a Senate hall, a lobby, workshop rooms and a dining hall. Ayazaga Campus can be accessed by subway/metro via "Taksim Haci Osman (M2) line (ITU stop). The campus is also accessible by driving through the main two highways O-2 and O-1 passing Fatih Sultan Mehmet and Bogazici (Bosphorus ) Bridges respectively. Ample parking space is available on campus. When you arrive Taksim Square, the best option to get to ITU Maslak Campus is taking the M2 metro line. 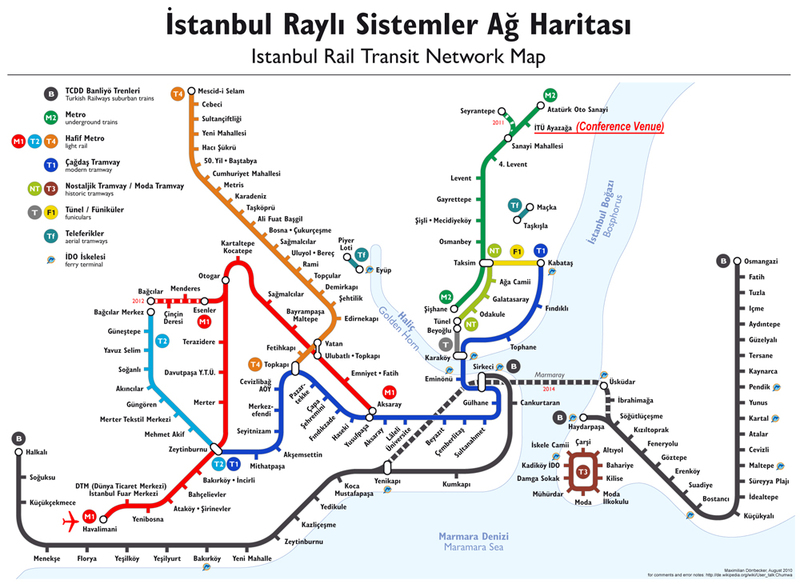 Take the metro in the Darüşşafaka direction, the 7th station in that direction is the ‘ITU Ayazağa Station’. ‘ITU Ayazağa Campus’ is another name for ‘ITU Maslak Campus’. You can get off the station there. The journey from Taksim Square to ITU Maslak Campus takes about 20 minutes and costs 1.50 TL (€0.75).